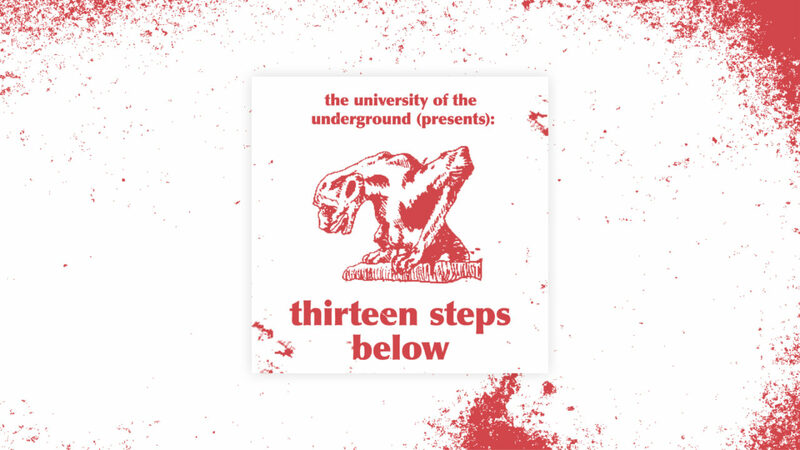 In this month’s episode of 13 Steps Below the students of the University of the Underground welcome Dr Mieke Kolk- a dramaturg, feminist activist, researcher and professor- to continue their opera-inspired discussion: What can we learn from the method of reenactment, in a psychological sense, and how do we overcome a collective trauma as a society? Listen to the sixth incredible episode to get an expert insight into the forms of opera and the student’s fresh take on what Mieke had to say. This podcast is made by the students of the MA Design of Experiences at the University of the Underground and the Sandberg Instituut: Malena Maria Arcucci, John Charles Bricker, Tom Burke, Alexander Cromer, Francisco Dorado, Ryan Eykholt, Heather Griffin, Juhee Hahm, Anna Maria Merkel, Joseph Pleass, Ada Reinthal, Luke George Hardy Rideout, Evita Eva-Maria Bianca Rigert, Jack Waghorn!